The Kirkland Children’s Complete Multivitamin Gummies is a delicious multivitamin with no artificial flavors. Kids can be pick eaters. There is only so much you can do. You may constantly worry whether or not they are getting the nutrients they need. Proper nutrition, especially at a young age, is essential for a healthy life. 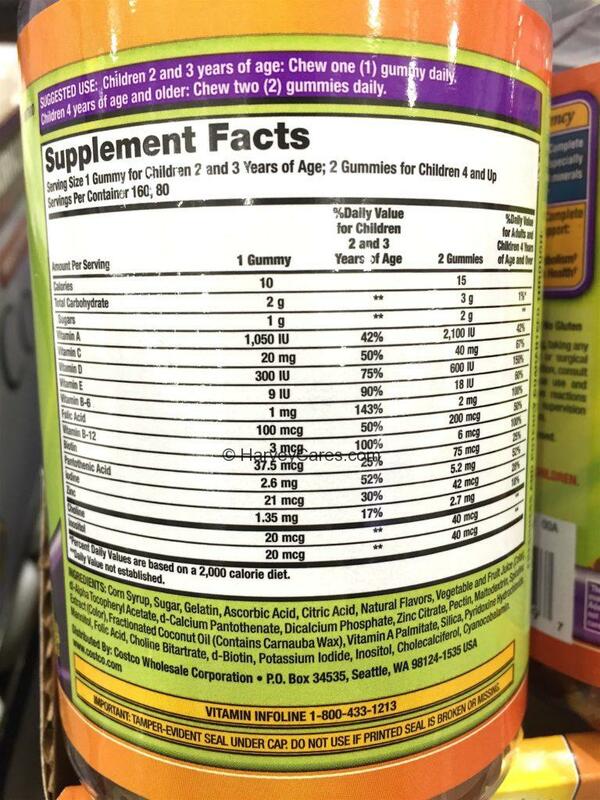 Rest assured with this children’s complete multivitamin from Kirkland Signature. It is delicious. Made from real fruit flavors. The multivitamin yummies contain no lactose. The product is also gluten free. 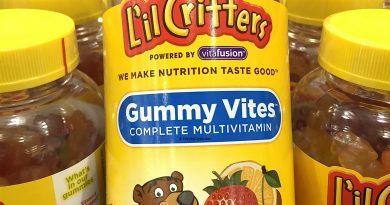 More importantly, your kids will love these multivitamin gummies. They are delicious and fun to eat. It is something they will look forward to every day. They might even remind you that it’s time to take the multivitamin gummies! Wouldn’t that be a miracle? 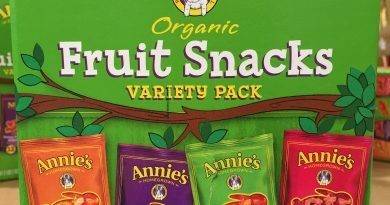 The natural flavors include orange, cherry, and green apple. While your children enjoy the taste, you can smile knowing that they are getting more than 10 vital vitamins and minerals. These Kirkland children’s complete multivitamin yummies are especially formulated. The focus is to support children’s developmental health. Nutrition is very important at all stages of our lives. It is especially important at a young and critical age. Proper nutrition builds the cornerstone of good health into their adult lives. Don’t spend time chasing after your kid. Have them look forward to taking their daily multivitamins. 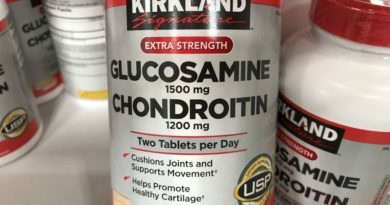 Looking to Purchase Kirkland Children’s Complete Multivitamin Gummies? Already made up your mind? Amazon has this item in stock at the best price with shipping included. Shopping for the Best Children’s Multivitamin Products? The Kirkland Children’s Complete Multivitamin Gummies is wonderful. There are also other very popular and highly rated products in this category. See the Harvey Cares recommendation below. Back to the good stuff! Take a look at the detailed review of Kirkland Children’s Complete Multivitamin Gummies below. Orange, cherry, green apple flavors. Supports healthy growth and development. Ingredients: Corn syrup. Sugar. Geltain. Ascorbic acid. Citric acid. Natural flavors. Vegetable and fruit juice. dl-Alpha tocopheryl acetate. d-Calcium pantothenate. Dicalcium phosphate. Zinc citrate. Pectin. Maltodextrin. Fractionated coconut oil (contains carnauba wax). Vitamin A palmitate. Silica. Folic acid. Choline bitartrate. d-Biotin. Potassium iodide. Inositol. Cholecalciferol. The Kirkland Children’s Complete Multivitamin Gummies serving size varies. 1 gummy for children 2 to 3 years of age. 2 gummies for children ages 4 and up. Don’t consume more than the guidance. is 1.5 oz (42g or about 6 pieces of dried mangoes). There are about 160/80 servings per container. This multivitamin has no calories. The Kirkland Children’s Complete Multivitamin Gummies is a highly rated product. Kirkland Signature is a very trusted brand. As a Kirkland Signature product, your satisfaction is guaranteed. Or your money back anytime. There is also a quality, purity, and potency guarantee. This children’s complete multivitamin is specially formulated. The formulation focus is on promoting healthy growth and development. Over 10 vitamins and minerals are combined. This combination provides your child with what they need. All in a delicious gummy. Vitamin A supports their eye health. B vitamins encourage energy metabolism. And vitamins C and D for immune system health. 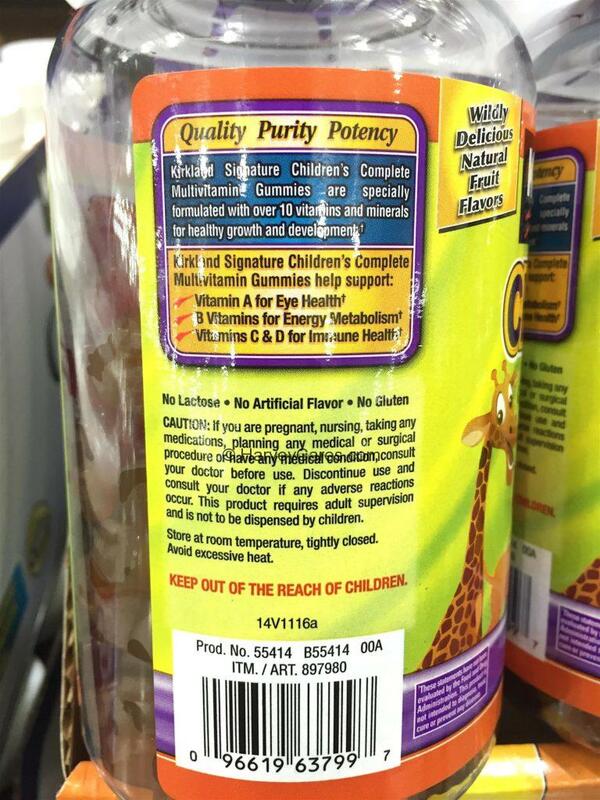 Kirkland children’s complete multivitamin yummies has no lactose. There is also no artificial flavor. The multivitamin is also gluten free. The natural fruit flavors will definitely be popular with the kids. And you can rest assured that they are getting sufficient vitamins and minerals. Especially at such an important stage of their body’s development. 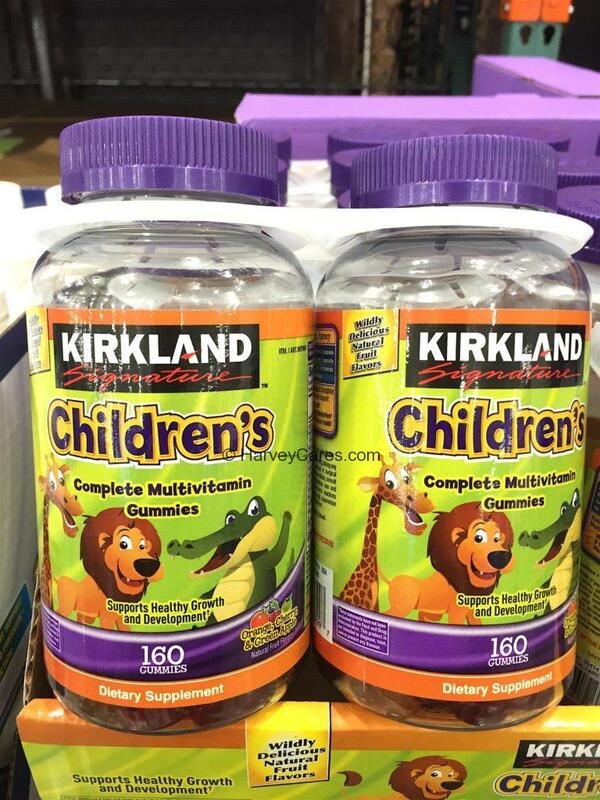 The Kirkland Children’s Complete Multivitamin Gummies is currently selling at my local Costco Warehouse for $7.49. This is after a limited time $2.50 instant savings promotion. Amazon.com appears to have the best price for this item with shipping included. Please note that your local selection and pricing may vary. 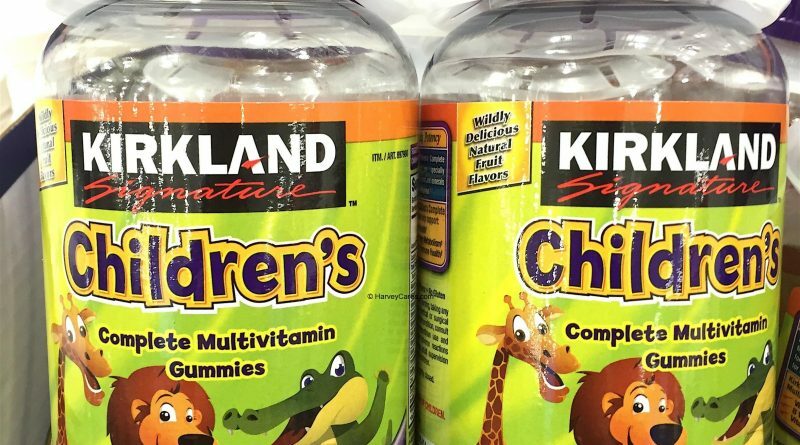 Have you bought the Kirkland Children’s Complete Multivitamin Gummies before? I love visiting Costco and frequently want to try everything I see at the warehouses. This site provides genuine and insightful product review information on the latest Costco products. You make the best decisions when you have all the information! 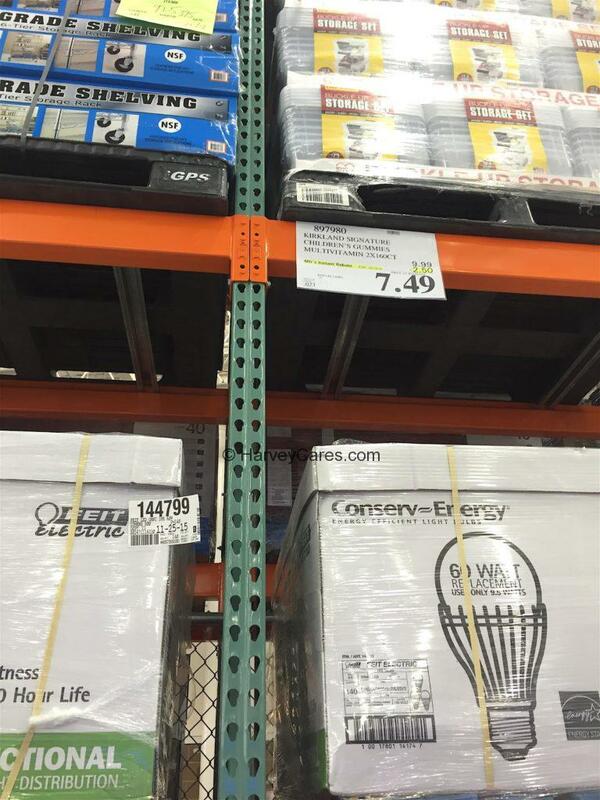 Copyright © 2019 Harvey @ Costco. All rights reserved.